First Half of 2018 Winner! We are pleased to announce the winner of our giveaway for the first half of 2018 is the Veterans Health Care System of Southeast Louisiana. They recently began a new Whole Health Program called THRIVE which stands for Transforming Health and Resiliency thru Integrated Values-based Experience. In this program, 8 to 12 veterans meet in groups together with physicians, psychologists and social workers weekly during a 3 month program. During this time, they cover all aspects of health including but not limited to mindfulness, spirituality, nutrition and relationship along with financial health. Veterans who complete this program are shown improvements in anxiety, depression and overall lifestyle satisfaction. 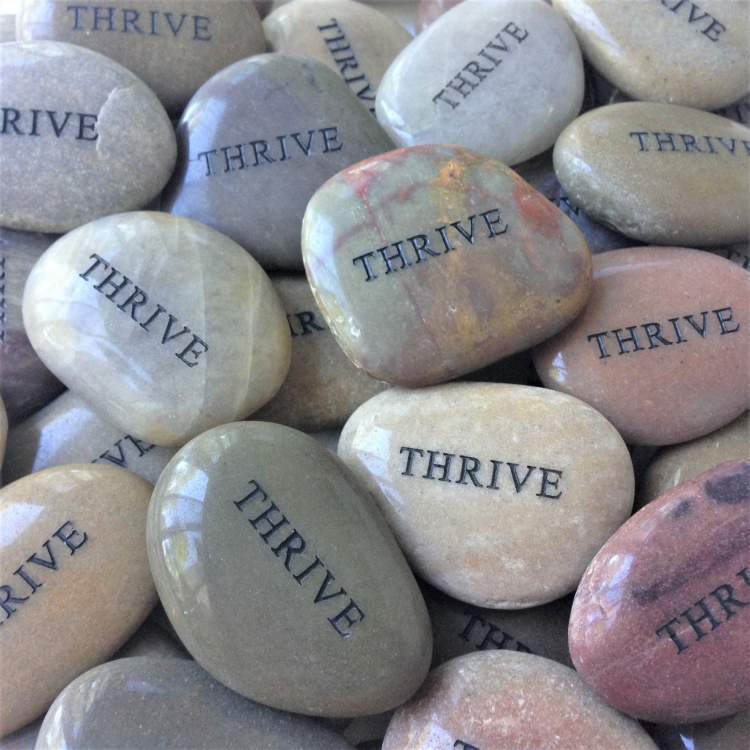 Southeast Louisiana Veterans Health Care System uses stones engraved with the word "THRIVE" to give to each veteran as they graduate from the program. This helps them to remember what they learned during that time, and that they still have support after the completion of the program. We couldn't be more honored to partner with an organization that gives back to our veterans, as they have done so much for all of us!